A chain is only as strong as its weakest link. When the links in the chain represent development projects, if individual projects fail to achieve their purpose, the development program's effectiveness is compromised. When the chain's links are strong and well-connected, the results are improved for the sector, country, and region. 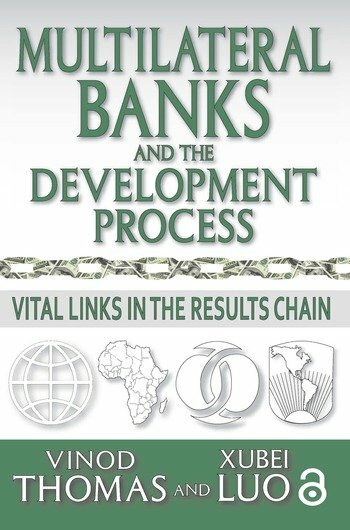 The role of multilateral banks is crucial; they inform the impact of development operations and support policymakers in decision making.This volume emphasizes that some crucial links in development tend to be systematically overlooked. In these matters, preoccupation with the immediate exigencies seems to come at the expense of attention to enduring problems - at a great cost to society.Development practitioners should apply policies that have produced results over time, ensuring that the links in the chain are strong, but too often they overlook those links - because of myopia, complexity, tradition, or special interests. This book will help policy makers and practitioners focus on the links that measure progress, apply lessons, and matter for lasting results.